One of the newest lines from Dermalogica is the Clean Start line of products. Clean Start was developed specifically for teens and addresses the skin issues that many face during those critical years: teen acne care. Many may wonder how Dermalogica could make Clean Start any different from the rest of the teen-centered products on the market, but the answer is simple. Ingredients like mineral oil, S.D. Alcohol, artificial coloring and fragrance, can wreak havoc on the skin, especially the sensitive skin of teens. Much like the rest of their offerings, the Clean Start products do not include any of the harsh ingredients that can cause more problems to develop. 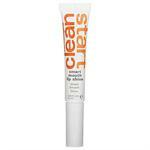 When acne care is in order, Clean Start certainly steps up to the plate, offering a great line of natural, earth-friendly products that are great for sensitive skin. Another important point to note is that Dermalogica does not believe in animal testing, so no animals are ever harmed during the creation of any of their products. This is a company that has managed to develop their products without causing harm to the Earth, or its creatures. Read More about Clean Start. *Clean Start TM Will Not be shipped Internationally. *Discounts Will Not be applied to Clean StartTM. DrSkinSpa.com is an Authorized Retailer of CleanStart™. All Products are Guaranteed Authentic & Fresh. Dermalogica has been around for a very long time now. Every woman who has ever had skin issues, has always found Dermalogica products close by to address those exact problems. This is why their name is the one that is most trusted and reputed when it comes to skin care. Their forays into every kind of skin care issues are both commendable and praise worthy. Their new and recent addition to their many lines of skin care is the Clean Start Dermalogica range. For those of the readers who are not sure what is Clean Start, this blog entry will help you comprehend. Over the years Dermalogica has discovered and dealt with many skin issues and it was only a matter of time before they realised that a key area seemed to go unnoticed by all skin care products, that is, products for teenagers. Teenagers, due to lack of options, resort to using products that are not healthy for their skin. Be it the high chemical quotient in these products or their composition that is directly related to a particular skin type, teenagers found themselves worse off after the use of such products. Their skin lost essential nutrients and over time, the texture and complexion of their skin deteriorated. Then they came up with Clean Start Dermalogica. This line of skin care products is meant for teenagers exclusively. The products have developed a reputation for themselves amongst teenagers pretty fast. Dermalogica paid a lot of attention to the development of these products. They included a group of young people into their research and development of Clean Start Dermalogica products so as to ensure that specific issues were taken into consideration. Their involvement was not limited to only this. Their contribution formed a major part of how the line was packaged and marketed. Even the labelling and the look of the products was discussed with the youngsters. This is exactly why the 8 product line has hit it off with teenagers so fast and so well.